The difference between the verbs ‘to compare’ and ‘to contrast’ seems to have caused some heated debate. Probably more than it should. I’m not sure why. Perhaps it’s the perenial potato debate. Which do you prefer? 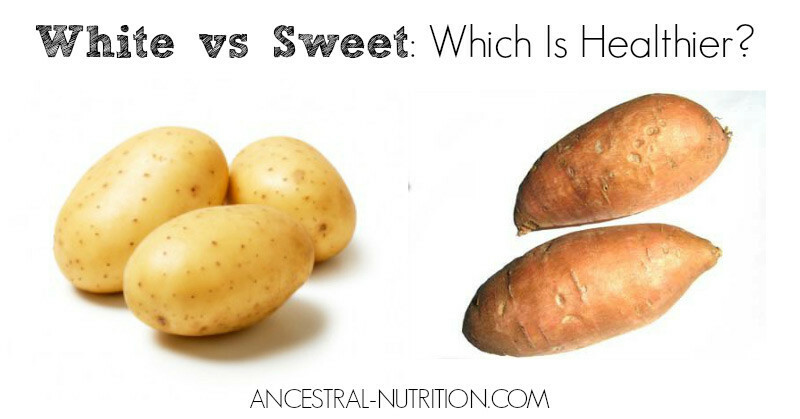 Sweet potatoes or old fashioned regular potatoes? Or how about yams? Surely a discussion about potatoes couldn’t cause so much argument, could it? If you contrast some of her early writing with her later work, you can see just how much she improved. The styles of the two film makers contrast quite dramatically. The tartness of the lemons contrasts with the sweetness of the honey. So the potatoes are rounder, and obviously, the sweet potatoes are ummm sweeter. I’m not doing very well here…. If you compare house prices in the two areas, it’s quite amazing how different they are. That seems expensive – have you compared prices in other shops? Compare some recent work with your older stuff and you’ll see how much you’ve improved. The poet compares his lover’s tongue to a razor blade. Still only 25, she has been compared to the greatest dancer of all time. People compared her to Elizabeth Taylor. You can’t compare the two cities – they’re totally different. Instant coffee just doesn’t compare with freshly ground coffee. The hotel certainly compared favourably with the one we stayed in last year. “Family” and “flock” are examples of collective nouns. Collective nouns are often very peculiar and very particular. You don’t need to know them all (most people don’t), but they are fun to know and make for excellent conversation starters if you’re a language geek! Does a singular collective noun take a singular or plural verb? Well, it depends. If the collective noun refers to the group as a unit, then it takes a singular verb. This quiz was created for beginner ESL learners studying collective nouns. Choose the TRUE statement. Collective nouns are always singular.Collective nouns may function as verbs. Collective nouns may be singular or plural. Previous. COLLECTIVE NOUNS EXERCISE 1. CHOOSE THE CORRECT OPTION: … Related Exercises. Auxiliary Verbs Exercise – 1 · Collective Nouns Exercise – 2. [PPT]Subject – Verb Agreement PPT – Grammar Bytes! Subject–Verb Agreement. A Project LA Activity. Basic Rule. Singular subjects need singular verbs. Plural subjects need plural verbs. These create problems:. After each sentence select the verb form that will best fit in the blank. The explanation will describe the process of arriving at the correct choice for that sentence. Read the sentences to decide whether the verbs should be singular or plural. Then click the drop-down menu. answer. to see the answer. Subject / Verb Agreement Exercise. Look at each sentence and think about subject/verb agreement. Which is the correct answer? An advanced English-language quiz on subject–verb agreement.